Jessica & Spencer - Pre Wedding Vow Duel from Designer Ceremonies on Vimeo. "Thank u so much much for giving us the best experience ever! I never thought in a million years Steve would react like that! It was the most amazing day of my life!!! I couldnt ask for more. Thank you sooo much Wanda, you were amazing. We just wanted to thank you for officiating such a lovely wedding for us. Thank you for taking the time to get to know Tom and myself - it really made for a special day. We really enjoyed ourselves and so did our guests." Sharon & Lap [SDE] from RF Weddings on Vimeo. 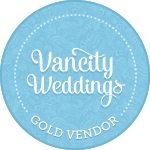 We are wedding officiants and marriage coaches based in the greater vancouver area. In addition to officiating wedding ceremonies, we provide pre-marriage and relationship support. Our passion is working with couples to capture and reflect the uniqueness and significance of their relationship on their special day. We believe your ceremony can be the highlight of your wedding day striking the perfect tone - beautiful and meaningful, yet light-hearted and fun.